In this interesting world where processors are released but not formally announced, it means that when diving through the lists of supported CPUs on certain motherboards, we might find processors we have never heard of before. Thanks to some sleuthing on Twitter by one of our followers, we can detail that AMD has two new 35W Ryzen processors that we previously did not know about. Traditionally AMD uses the Athlon name for its combined CPU/GPU processors that have the GPU disabled (which AMD calls its NPUs, or non-accelerated processing units). 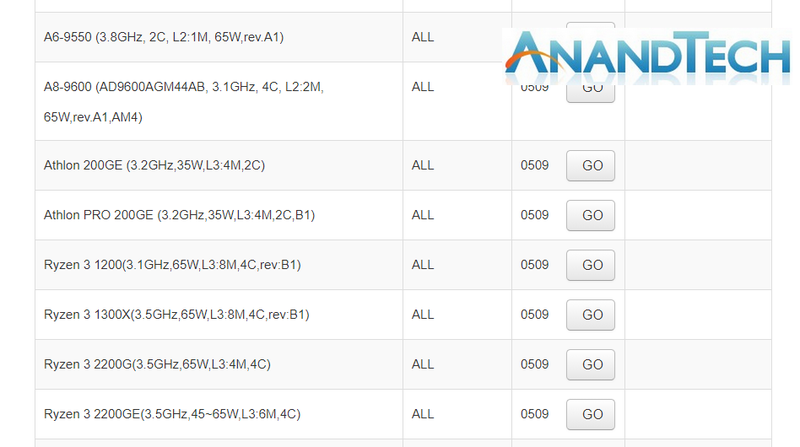 What makes this interesting is that based on Geekbench data already submitted to the results database (on an ASUS B350M motherboard), these parts both have integrated graphics. 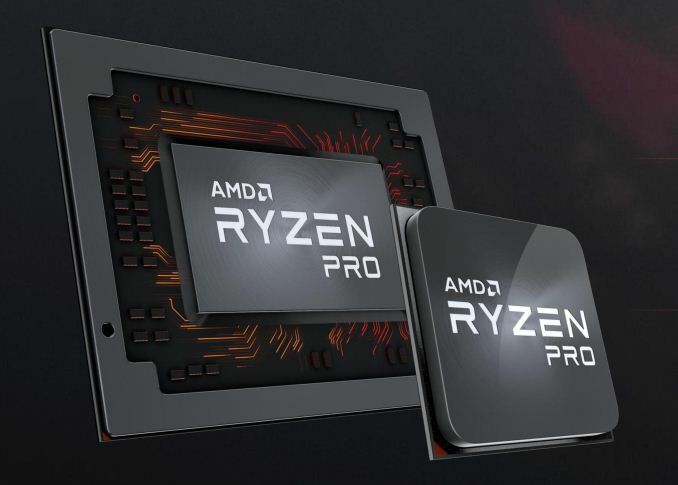 Between the two sources, it shows that the processors are essentially identical, with the difference in the Pro variant being that it falls under AMD’s commercial brand for customer support. The part then is a dual core processor with hyperthreading, running at a base frequency of 3.2 GHz, at a 35W TDP, and either 2 MB or 4 MB of L3 cache (both sources state something different: ASUS lists 4 MB, which is usually more accurate). Neither source states a turbo frequency, so it might come to pass that the Athlon processors do not have any turbo, but also missing is the information about the integrated graphics. Neither ASUS’ support list nor Geekbench traditionally lists this data. Geekbench does list it as a Raven Ridge part (which makes sense, being a CPU+GPU design), which would also mean it is built on 14nm. Normally when processors are not announced with the rest of the set, it means one of two things. First, they are not important for the story, and so from a PR perspective it makes sense to the company to leave them out of materials (no matter how much that bothers the media), or that these processors are ‘off-roadmap’, and are built to order from a specific customer. At this point we are unsure of where AMD stands on these parts. It is worth noting that these parts do not have the ‘Ryzen’ name in them. Given the fact that it is a long weekend in the US, while we have reached out to our contacts at AMD, we are not expecting a response until Tuesday. More information as we get it. Update: Computerbase.de reports that these two new processors are set to be announced at Computex, and that both of these parts have Vega 3 graphics. there are plenty of low power applications these processors can be used in. for example: look at the amount of intel baytrail and cherry trail low power cpus...in the market..in random devices from china. anyways..low power cpus are nice in low power applications that don't require much power. companies dont market them as powerful computers, it is the sales guys and odms that market them like that. If u rip apart a barracuda webfilter you will find a athlon in it :) ( not sure if you knw wht tht is tho). There are plenty of places where they'd be useful. Not everything is about performance. Sometimes power is the primary driver with performance being secondary. This would be a good deal faster than any Atom or Jaguar, now lets see how they rank against an i3. This to me looks like AMD's answer to the ever-popular 2c/4t Pentium chips (such as the G4560).